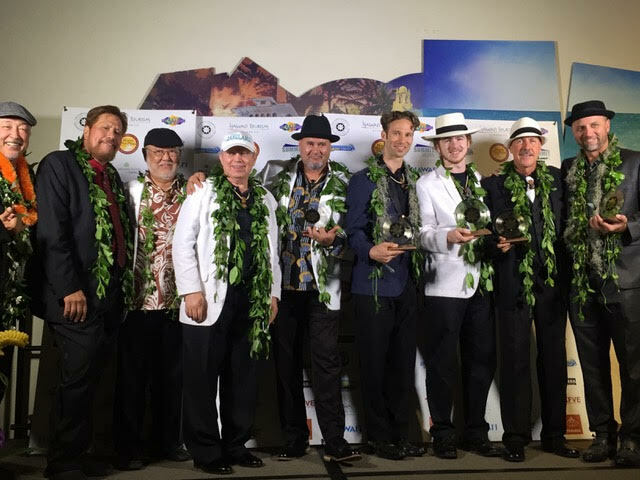 The 2018 Nā Hōkū Hanohano Award for “Jazz Album of the Year” was presented to the Big Island’s “Kings of Hawaiian Swing” group Kahulanui on Friday, May 19, 2018, for Mele Ho‘oilina, produced by Kahulanui LLC and Michael Surprenant of Mana Music Studio. 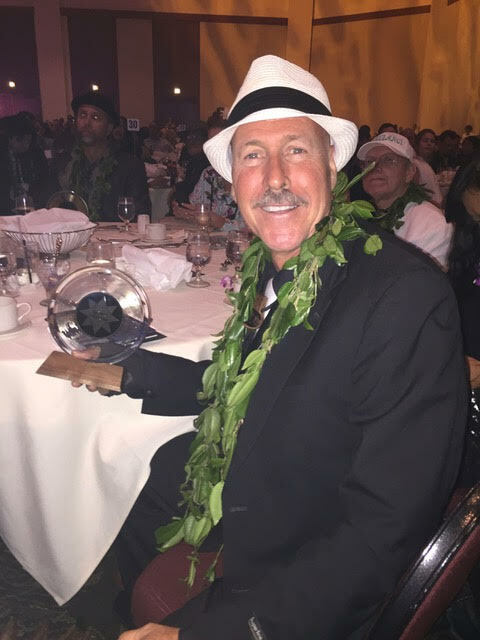 Kahulanui also earned the “Instrumental Composition of the Year” award for Kahulanui Boogie Woogie, composed by Bill Noble, who performs with the group. 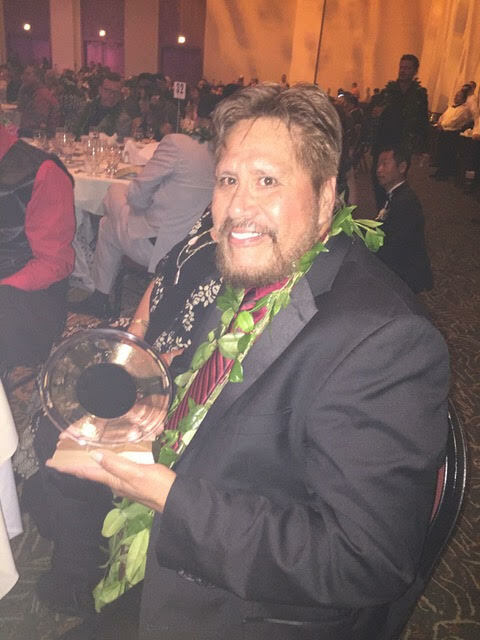 The Mele Ho‘oilina album was inspired by all the forerunners of the Hawaiian Swing genre, including the grandfather of band leader Lena Naipo. 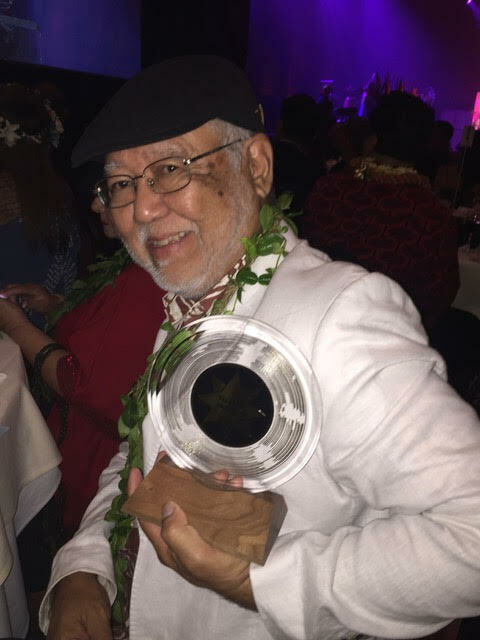 Naipo said it was a great thrill for his father, who was also in attendance at the awards ceremony, which was held at the Hawai‘i Convention Center. 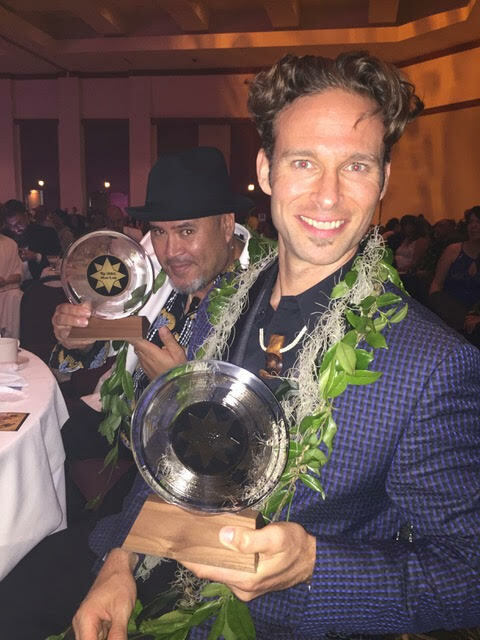 This was a big win for the group as they continue to perpetuate the blending of genres and cultures in Hawaiian music. 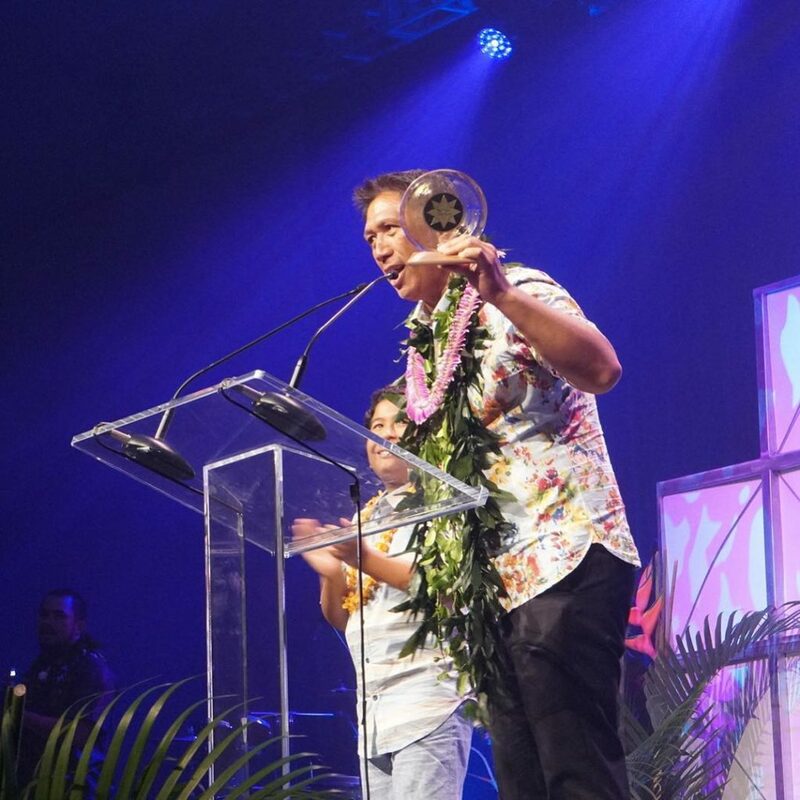 Kahulanui was also nominated for two other categories: “Group of the Year” and “Graphics” by Scarlet Eskildsen—both coveted and esteemed awards. 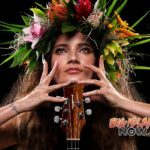 Originator Rodgers Lena Naipo on lead vocals and guitar, Patrick Eskildsen on bass guitar and vocals, Robert Duke Tatom on ukulele and vocals, Tim Taylor on drums/percussion, and Dwight Tokumoto on steel guitar. 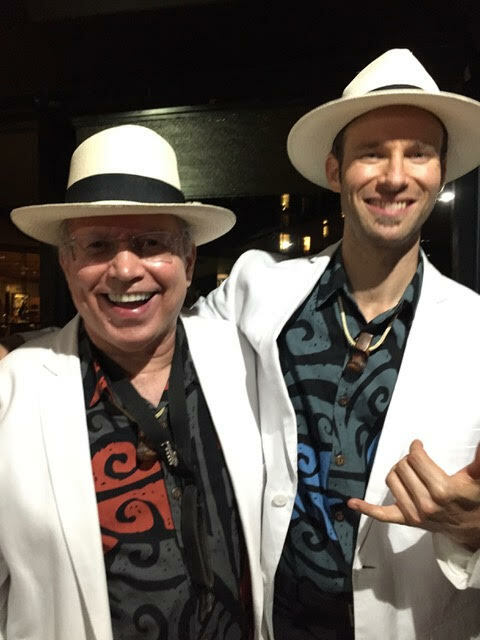 Horn section: Primary horn arranger Jesse Snyder on clarinet and tenor sax, Bill Noble on alto saxophone, Joshua Timmons on trumpet, and Vincent D’Angelo on trombone. 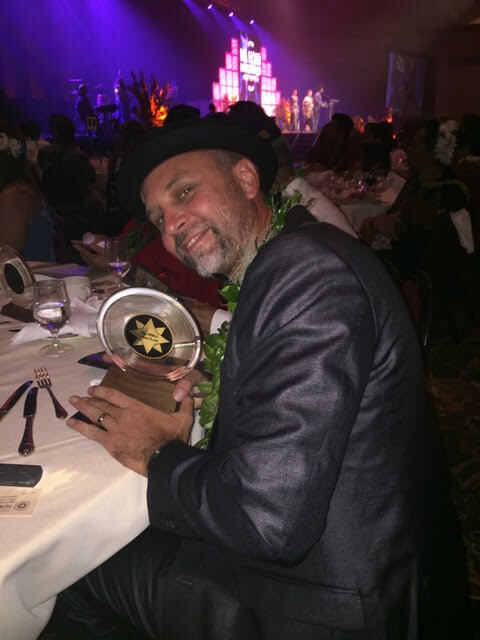 Eldred Ahlo on trumpet for Hoku performance. 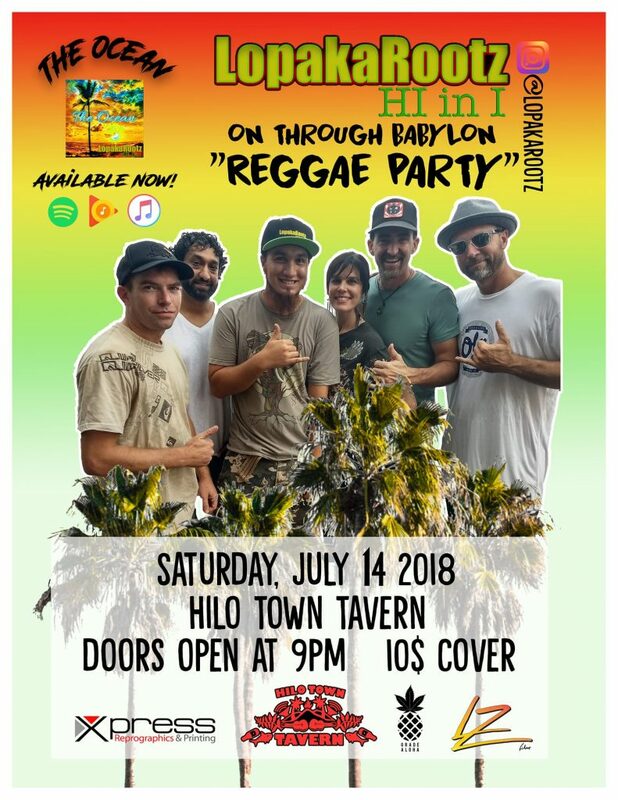 Kahulanui is on tour this summer. 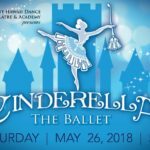 Look for complete schedule at www.kahulanui.com.